We're back with another huge crossover episode. This time we're letting our inner nerds out to play and doing an episode focused exclusively on comic books, writers, artists and movies. In order to do it right we've partnered with our friends Mark and Lev from the DC Universe Podcast. You can check them out at www.twoshotstothehead.com. One of the funnest parts of reading comics is discussing them with your friends. So we invited a few others over and ended up with a 3 team brawl featuring our friends John and Daniel along with my brother Bob to round things out. I hope you enjoy. 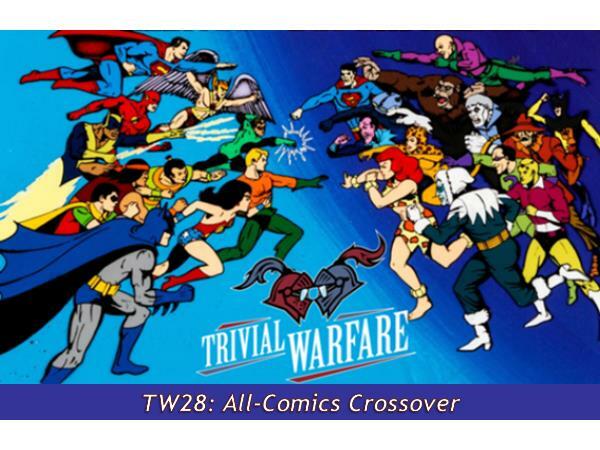 Let us know what you think at trivialwarfare@gmail.com. Remember, if you love comics like we do this is the episode to share with your friends!